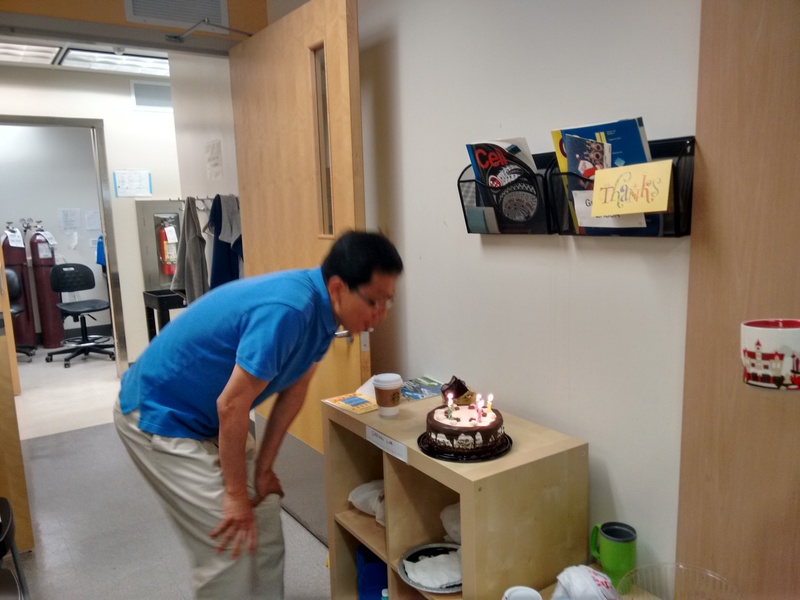 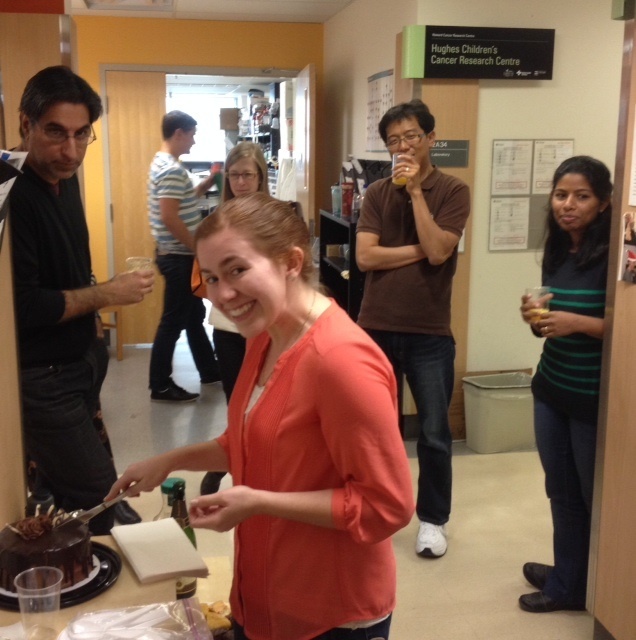 Another lab Birthday; more chocolate cake; all good!! 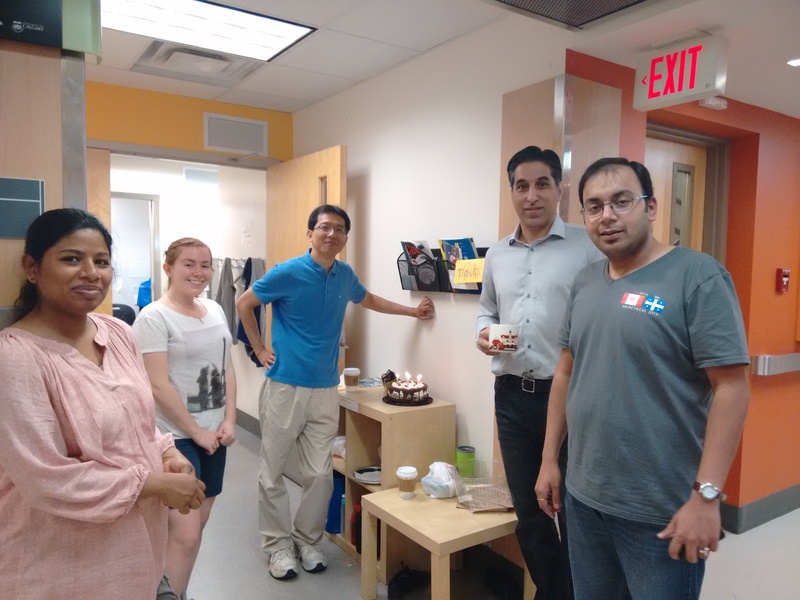 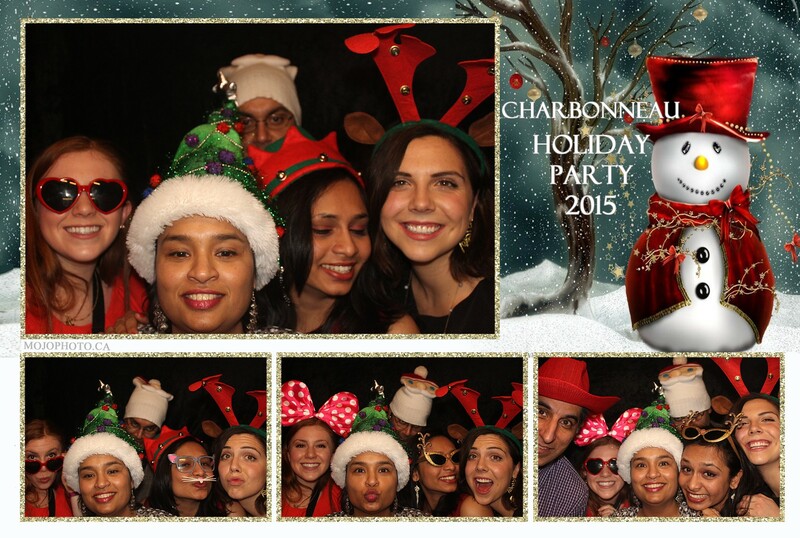 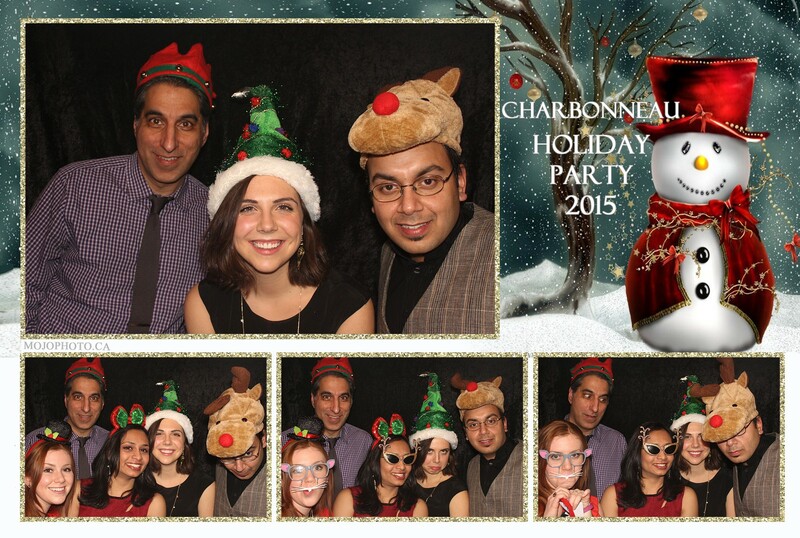 Happy Birthday Abhi and Rujuta!! 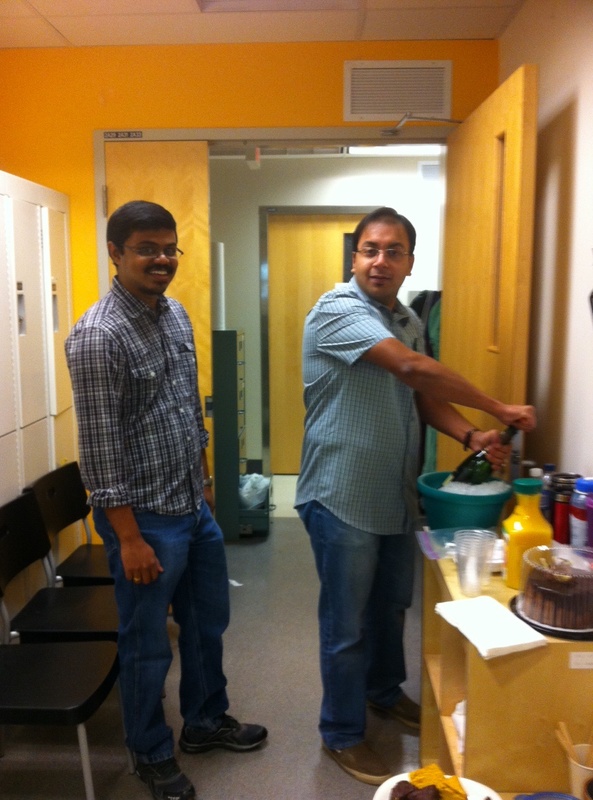 Congratulations to Sabi and Abhishek for getting their papers accepted. 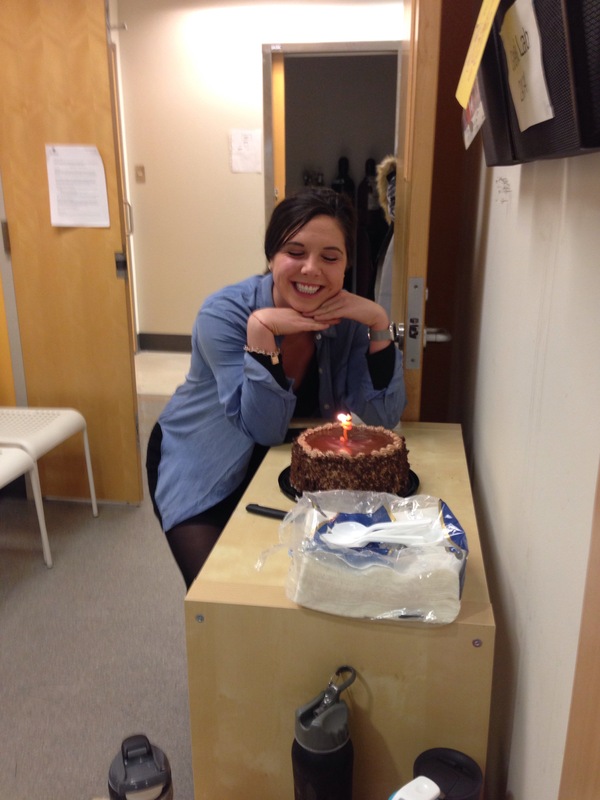 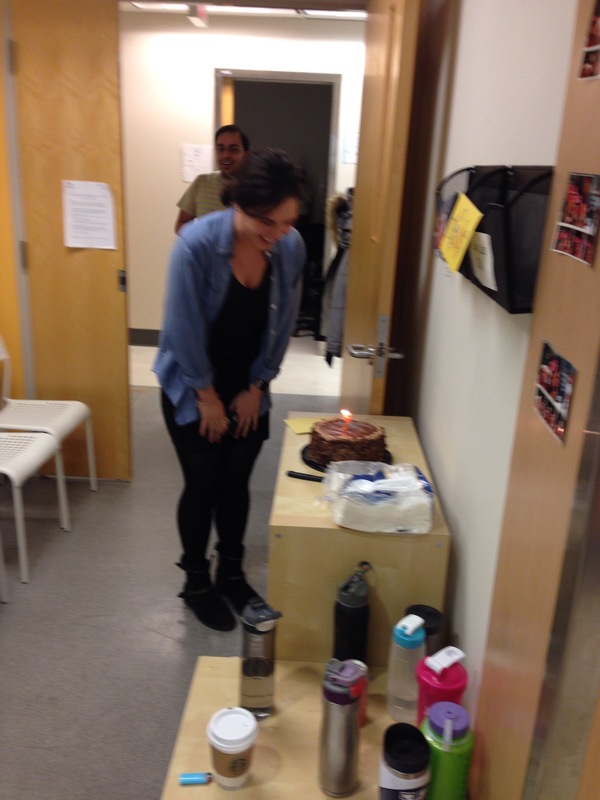 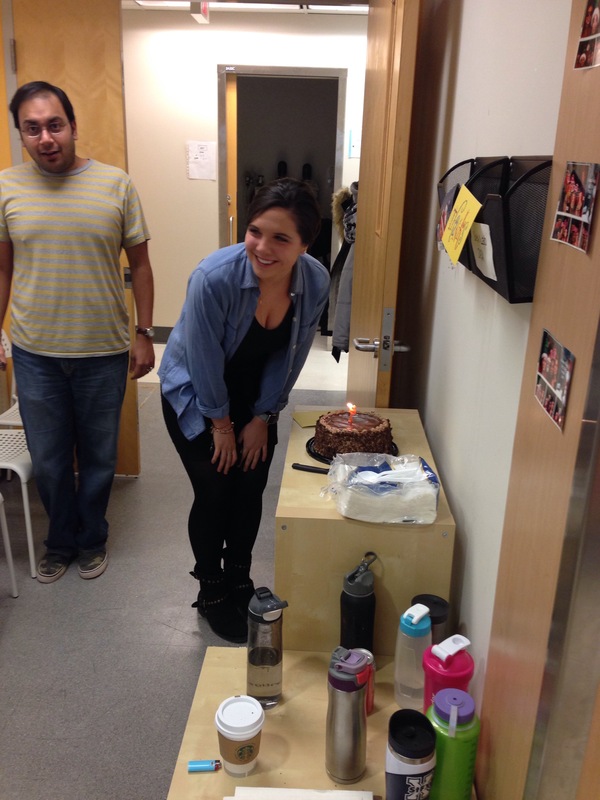 And Happy Birthday to Beth our newest grad student to join the lab. 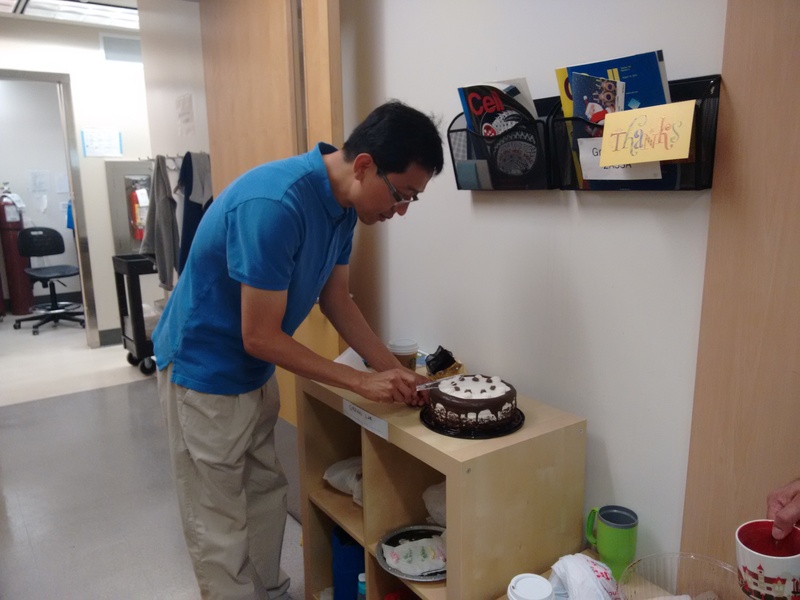 Sabi’s paper is on the nutritional control of translation in Drosophila and has been accepted in Biology Open. 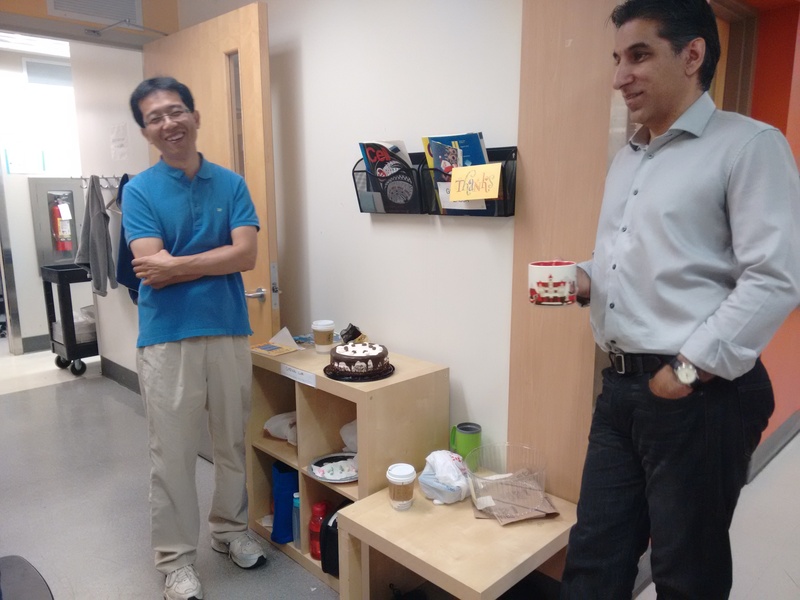 Abhi’s paper describes a role for muscle ribosome synthesis in the control of systemic insulin signaling and larval growth, and has been accepted in PLoS Genetics.